232 pages | 54 B/W Illus. Aggregation Methods: What Is the Overall Credibility? Combating Bias: Whose Vote Should Count More? Xin Liu is currently a postdoctoral researcher in the Laboratoire de Systèmes d'Informations Répartis, led by Professor Karl Aberer, at École Polytechnique Fédérale de Lausanne (EPFL), Switzerland. Before joining EPFL, Xin received his Ph.D in computer science from Nanyang Technological University in Singapore, supervised by Associate Professor Anwitaman Datta. His current research interests include recommender systems, trust and reputation systems, social computing, and distributed computing. His papers have been accepted at several prestigious academic events, and he has been a program committee member and reviewer for numerous international conferences and journals. Anwitaman Datta is an associate professor at Nanyang Technological University, Singapore, where he leads the Self-* Aspects of Networked and Distributed Systems Research Group and teaches courses on security management and cryptography and network security. Well published, he has focused his research on P2P storage, decentralized online social networks, structured overlays, and computational trust. His current research interests include the design of resilient large-scale distributed systems, coding for storage, security and privacy, and social media analysis. His projects have been funded by the Singapore Ministry of Education, HP Labs Innovation Research Award, and more. 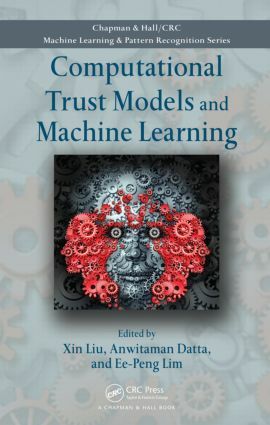 Ee-Peng Lim is a professor at Singapore Management University (SMU), co-director of the SMU/Carnegie Mellon University Living Analytics Research Center, and associate editor of numerous journals and publications. He holds a Ph.D from the University of Minnesota, Minneapolis, USA and a B.Sc from the National University of Singapore. His current research interests include social network and web mining, information integration, and digital libraries. A former ACM Publications Board member, he currently serves on the steering committees of the International Conference on Asian Digital Libraries, Pacific Asia Conference on Knowledge Discovery and Data Mining, and International Conference on Social Informatics.